MALIBU, Calif. -- April 15, 2014 -- Leading U.S. toymaker JAKKS Pacific, Inc., announced a licensing agreement with Nickelodeon to manufacture, distribute and market a line of specialty figures and toys in the United States based on the network's hit animated series Teenage Mutant Ninja Turtles. The agreement includes JAKKS' Hero Portal™ TV video game platform, the next generation of JAKKS' Plug It In & Play TV Games™ products, large-scale figures and more. 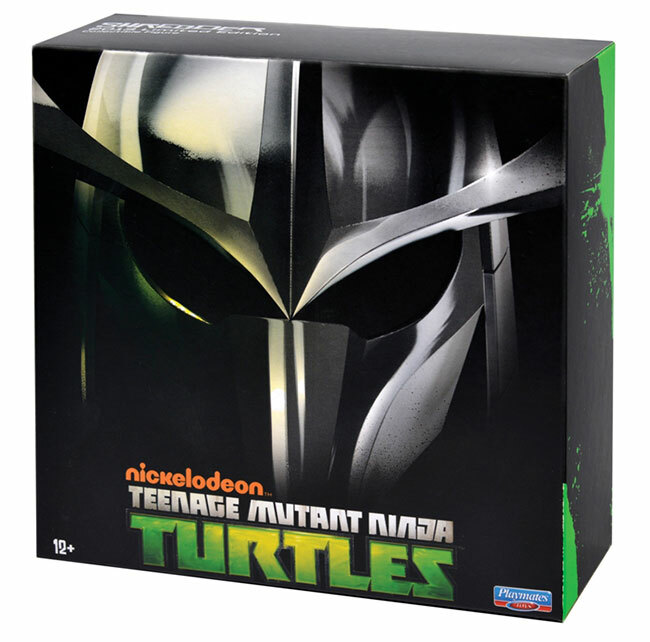 JAKKS expects to launch its Teenage Mutant Ninja Turtles product line in fall 2014 to coincide with the August 8, 2014, release of the feature film from Paramount Pictures. MONTREAL and NEW YORK, Feb. 11, 2014 - Gearing up for an exciting New York Toy Fair, MEGA Brands Inc. announces an expansion of their Mega Bloks kids' construction toys portfolio for 2014 with Nickelodeon's hit animated series, SpongeBob SquarePants. Toy insiders will get a preview of the new MEGA BLOKS construction line hitting stores this fall at the American International Toy Fair in New York City (Booth #751). 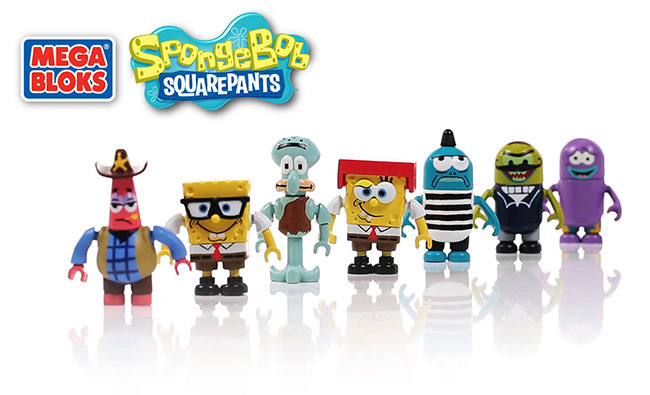 Mega Brands' licensed partnership with Nickelodeon is expanding to offer an exciting range of SpongeBob SquarePants construction toys for fans to build their favorite characters and their very own under-the-sea universe. Starting Fall 2014, kids can find Mega Bloks SpongeBob SquarePants in the construction toy aisle. 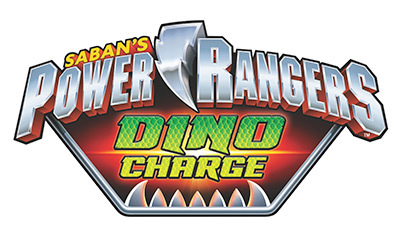 Los Angeles, CA (February 9, 2014) - Saban's Power Rangers get charged in the next season of the iconic franchise, Power Rangers Dino Charge. Debuting on Nickelodeon in 2015, this new season will deliver all-new dino-fueled action and adventure to fans of all ages. The series will roll out globally later that year. In addition, Bandai America Incorporated will continue to act as the global master toy licensee for the franchise, creating an all-new dinosaur themed product line. "Power Rangers Dino Charge will be a strong addition to the Power Rangers franchise," said Elie Dekel, President of Saban Brands. "By reintroducing the dinosaur theme, which global trends show is popular with boys, we know fans will find this next season larger than life!" NEW YORK, Sept. 30, 2013 -- Nickelodeon and Johnny Cupcakes today announced the launch of a brand-new adult apparel and accessories collection inspired by Teenage Mutant Ninja Turtles. The new line features four limited-edition t-shirt designs, a sweatshirt and a variety of accessories available for men, women and even one for kids! 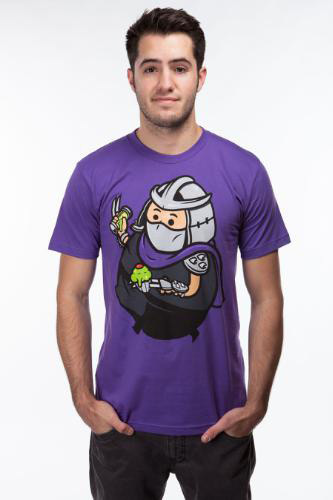 All four designs are custom, with one-of-a-kind graphics that feature Raphael, Donatello, Michelangelo, Leonardo and a caricature Shredder in the unique Johnny Cupcakes "culinary" style. The line can be purchased in Johnny Cupcakes retail shops (Boston, Los Angeles, London, and Hull, MA) and to fans around the world on the company's website, http://shop.JohnnyCupcakes.com beginning today. BURBANK, Calif., Sept. 26, 2013 -- Nickelodeon launches season two of the hit animated series, Teenage Mutant Ninja Turtles, Saturday, Oct. 12, at 11:00 a.m. (ET/PT), continuing the crime-fighting adventures of the four mutant turtles—Leonardo, Raphael, Donatello and Michelangelo. The season one finale ranked as the number-one telecast for the day across all TV with boys (August 8, 8-9:00 p.m. ET/PT). The half-hour weekly series is layered with comedy, action and sci-fi, and the unique CG animation draws inspiration from both American and Japanese animation, showcasing a stylistic effect of a printed comic. Teenage Mutant Ninja Turtles airs regularly on Saturdays at 11:00 a.m. (ET/PT) on Nickelodeon. The executive producers for season two are Ciro Nieli and Peter Hastings. LOS ANGELES, Aug. 28, 2013 -- Saban Brands and Nickelodeon today announced that Saban's Power Rangers Megaforce will return with all-new episodes on Saturday, Sept. 7, at 1 p.m. (ET/PT), followed by the season premiere of the all-new Digimon Fusion at 1:30 p.m. (ET/PT) on Nickelodeon. The back-to-back episodes team up to create a MEGA power hour packed with action, excitement, humor and entertainment. NEW YORK, Aug. 20, 2013 -- Nickelodeon today announced plans to celebrate its 10th annual Worldwide Day of Play (WWDoP) health and wellness initiative with a signature event on the Nethermead in Brooklyn's Prospect Park on Saturday, Sept. 21. This year's WWDoP event will feature more than 30 national and local partner organizations, including, the NFL, NBA, USTA, Boys & Girls Clubs of America and YMCA of Greater NY, among others. Leading up to WWDoP, Nickelodeon will also partner with NYC & Company to host health and wellness-themed public events across the city in iconic locations, beginning Monday, Sept. 16. Locations include the Intrepid Sea, Air and Space Museum and Union Square. The full details and locations of all events will be updated regularly in the coming weeks on www.nick.com/play. NEW YORK, July 19, 2013 -- Nickelodeon and Activision Publishing, Inc., a wholly owned subsidiary of Activision Blizzard, today revealed their collaboration on an all-new Teenage Mutant Ninja Turtles™ video game inspired by the network's hit CG-animated series. This side-scrolling action-brawler game features an authentic storyline ripe with franchise-favorite characters and locations, with loads of combat and animated scenes. Teenage Mutant Ninja Turtles™ is expected to launch Oct. 22 in North America, Oct. 23 in Asia and Australia, and Oct. 25 across Europe and Latin America for the Xbox 360® games and entertainment system from Microsoft, Nintendo Wii™ system and Nintendo 3DS™. NEW YORK, July 16, 2013 -- Nickelodeon announced today its licensing deal with Rubie's Costume Company, the world's largest manufacturer of Halloween costumes and masquerade products, to develop and produce a line of Halloween costumes and accessories and dress up products inspired by the Teenage Mutant Ninja Turtles series. The new line will include Halloween costumes and accessories and dress up products for infants, toddlers, kids and adults, as well as pet costumes. The Teenage Mutant Ninja Turtles Costume Collection includes costumes and accessories and dress up products featuring: Raphael, Leonardo, Donatello, Michelangelo, Splinter, April O'Neil, Shredder and The Foot Clan.